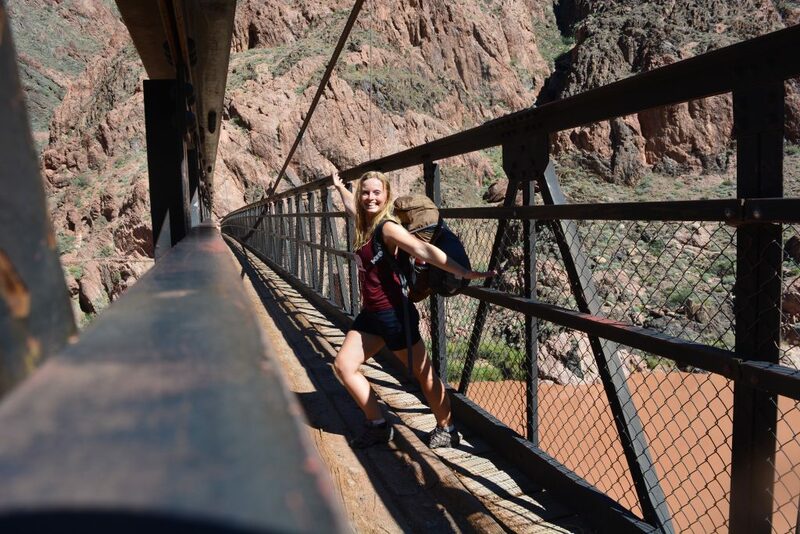 Hike down the Grand Canyon! - Go on adventures! Going down is obligatory. 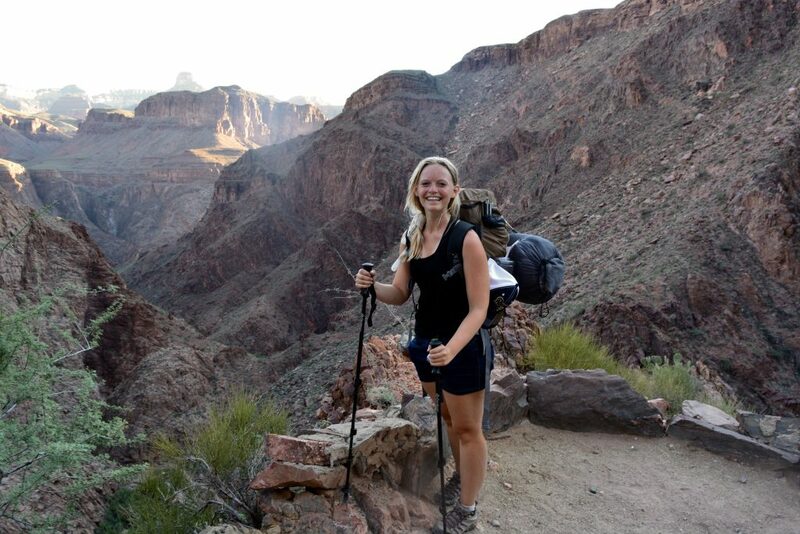 Coming up is mandatory: Hike the Grand Canyon! 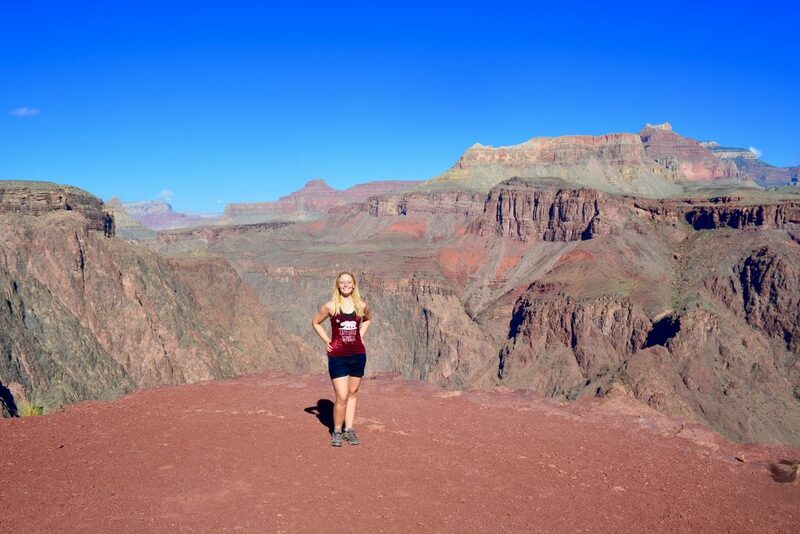 Long story short: If you consider doing this hike – DO IT! It´s absolutely worth it!!! I am still dreaming about this trip. After months. This trip will never be forgotten. I hit the trail alone. And I can tell you: Travelling alone should not stop you from doing things like this! It is an amazing feeling to accomplish something like this on your own! Sure – it is frightening in the beginning. But adventures of a lifetime will never be forgotten. So, you just have to do it. Don´t miss out on the best parts of the life. 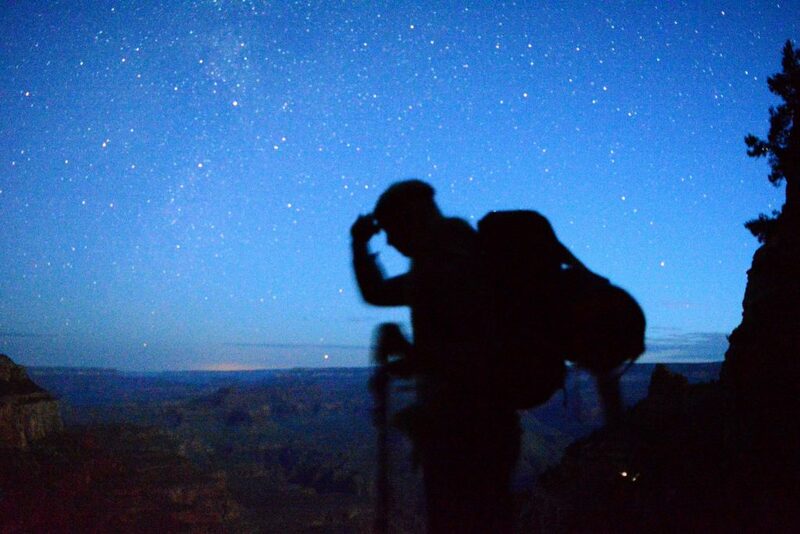 Before you are able to do the hike down the Grand Canyon you need to obtain a backcountry permit from the backcountry office – at least if you are planning to stay over night at the bottom. One of the most heated discussions is: Can you hike down and up in one day? I read so many different opinions – nps advises NOT to do so. 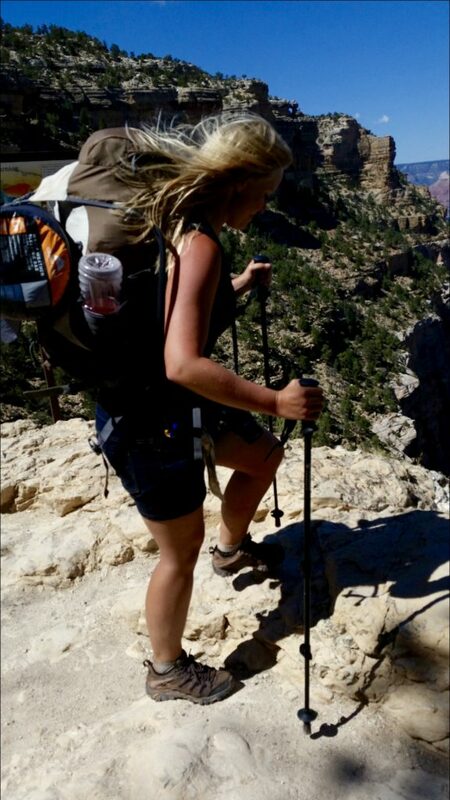 Personally I would say that I would NEVER be able to do the hike in one day…. BUT: I saw the most incredible people on this hike – so I say it is absolutely up to you. If you think you can make it – you maybe can…I saw some people running down and up! And I even met a person, telling me, that he did the Rim to Rim Hike in one day and is just on his way back – while I was still crawling my way up to the edge 😉 So…Nothing is impossible it seemed to me! 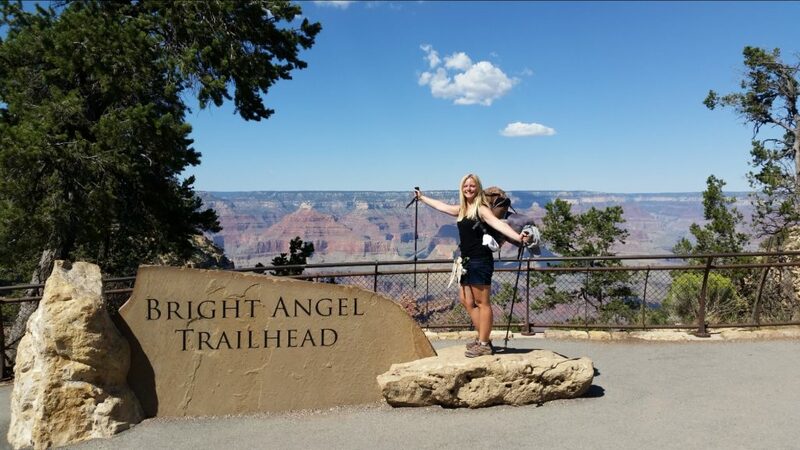 I took the South Kaibab Trail down and the Bright Angel Trail up. 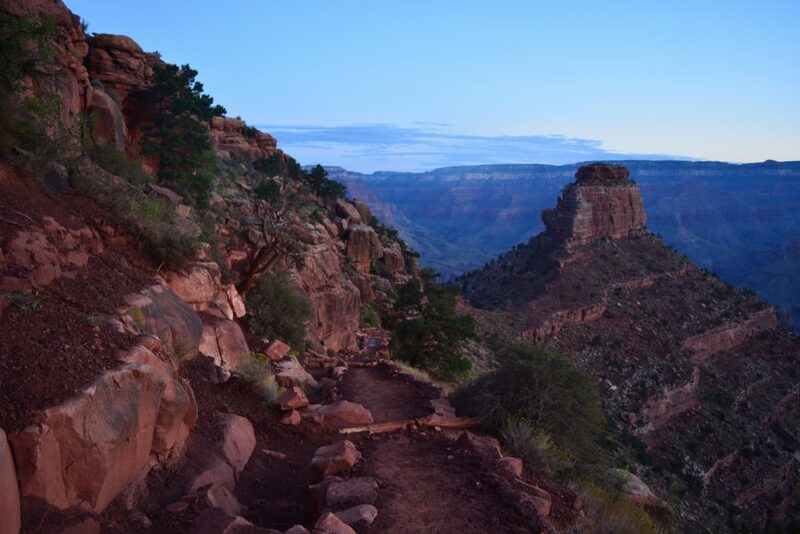 I recommend you so much to do so, if you are not planning the Rim to Rim trail! Why I do recommend to do it this way – you may ask yourself? 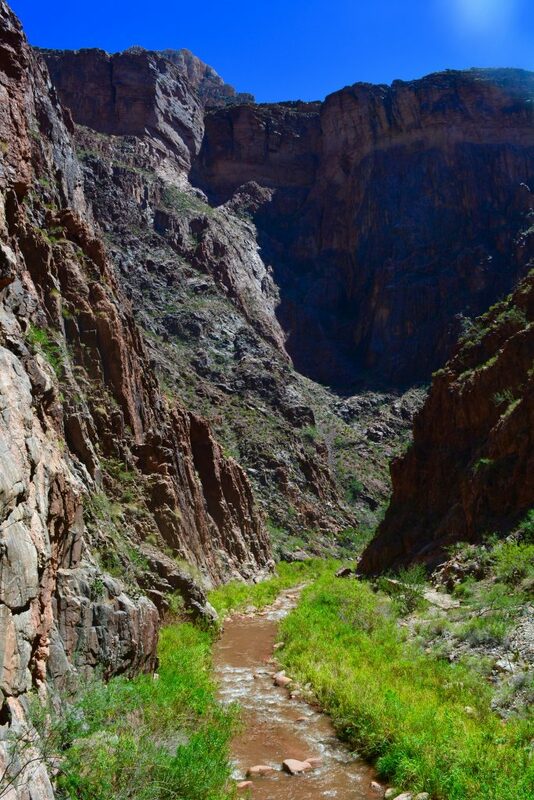 Bright Angel Trail has water on the trail – meaning you wont have to take so much water with you on your way back up. This will help you a lot! 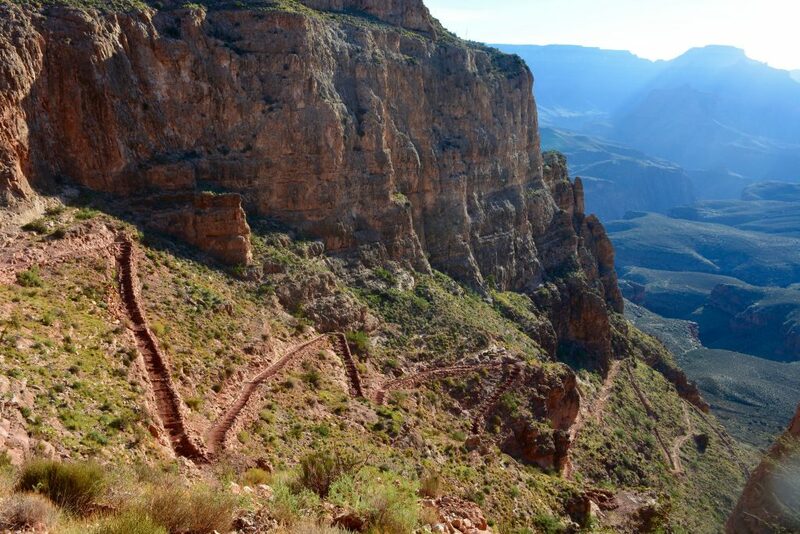 South Kaibab Trail is very, very steep and nearly all the way built with stairs. My knees were hurting on the last quarter of the down hike and it was really exhausting to take one stair after the other. I was so happy, that I wouldn´t have to take this way back up again – those stairs would have probably given me the rest 😉 But it is awesome to mix both trails. That way you can experience the Canyon so much better. From the views I enjoyed both of them a lot. 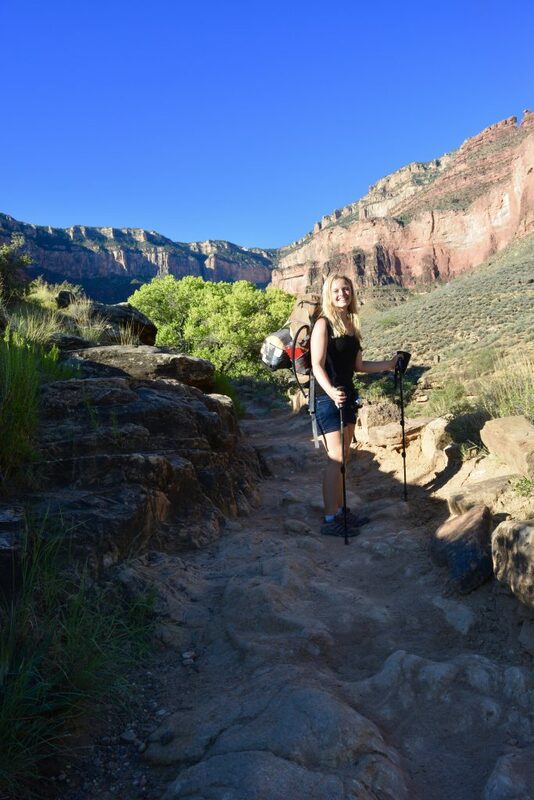 But I just fell in love with the South Kaibab Trail – it is honestly amazing. Maybe it was, because those were my first views down to the Canyon, maybe it was the sunrise. 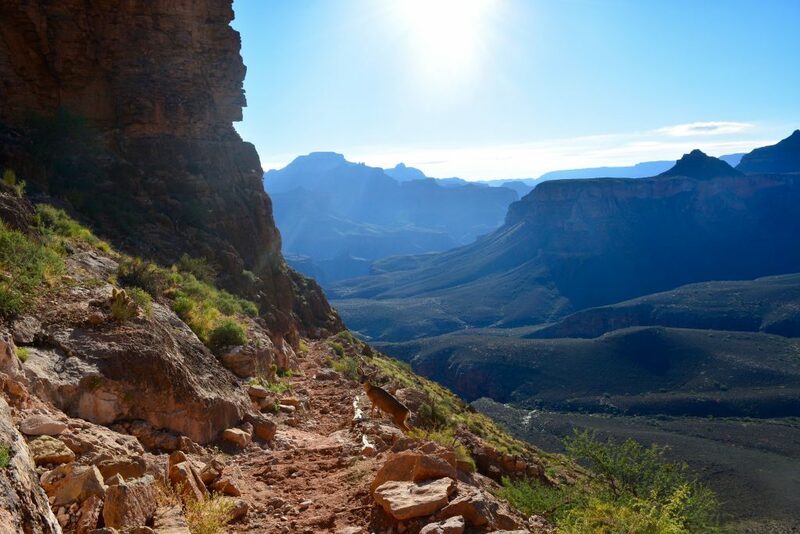 But don´t miss it out: There are less people than on Bright Angel Trail and those views are outstanding! Take enough water! How much water should I take with me, was something I asked myself a lot. After the hike I can tell you: It depends on the hike you are planning to take! I took a Gallon (3.7 liters) on my way down plus a full bladder (3 liter = 0.8 gallon) and I drank it all. 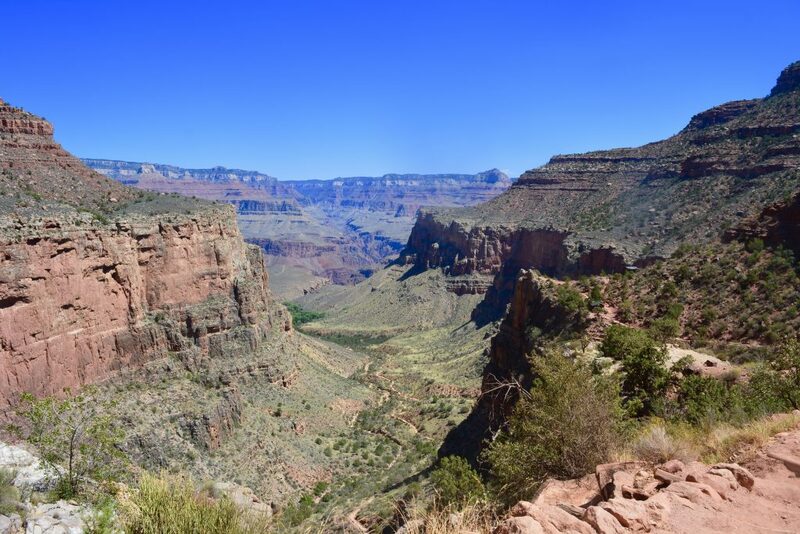 On my way back up I just filled my bladder and refilled it at the stops on the Bright Angel Trail. I never ran out of water and always soak my clothing with water. 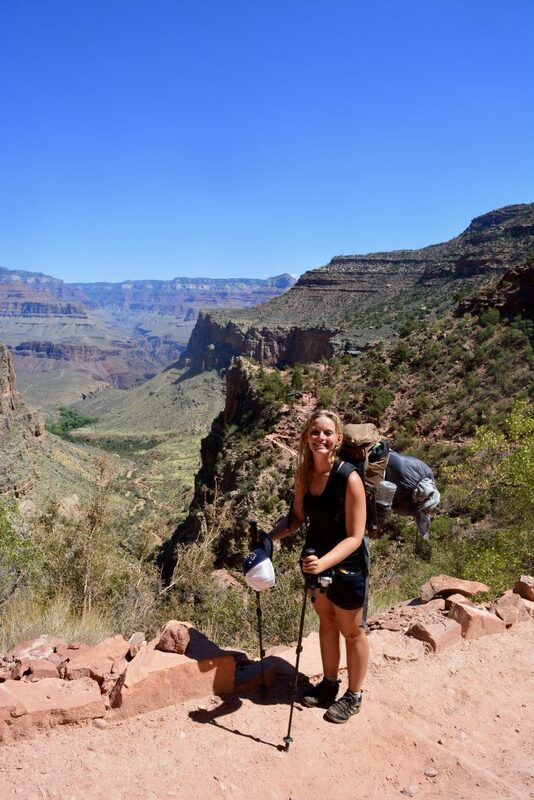 If you take the South Kaibab Trail up, please take enough water! With enough I mean more than I took for my hike down – the way up is, as you can imagine, way harder. That´s the next tip. If you´re hiking in the heat: Wet yourself! It´s amazing 🙂 It helped me a lot. I took a bandana with me and soaked this in water, whenever it was dry. That way -my head was always super cool and fresh.I might have looked like sweating tons of water -but that was so worth it! 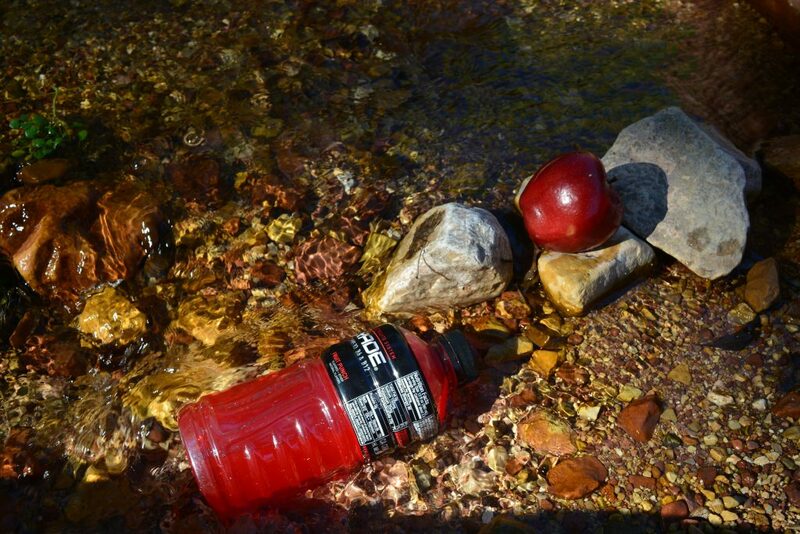 Another thing: take some rehydration tablets with you, that you can mix with your water or bring some drinks such as Powerade e.g. with you. I ordered myself a steak dinner at the Phantom Ranch for the evening. I had quite a situation afterwards and learned: If you are a small lady, don´t eat too many proteins after exhaustion, if you haven´t eaten them while the hike. 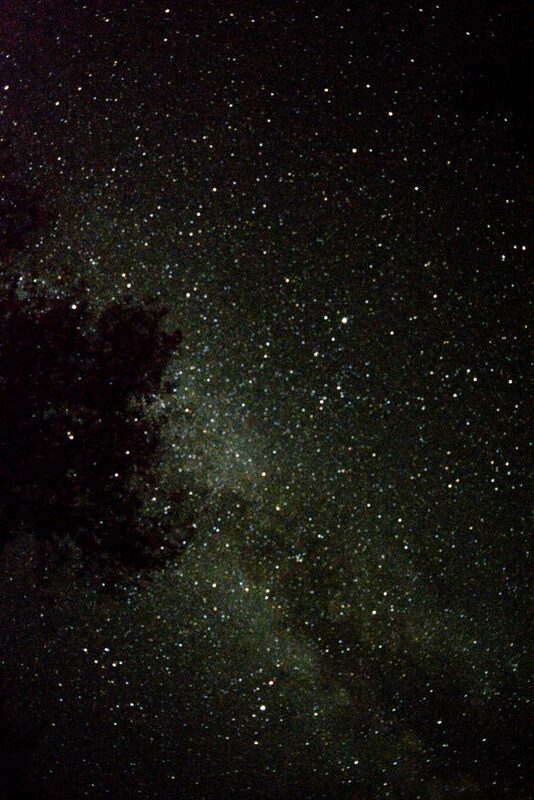 If you hike in the summer months I recommend you to hike down and up in the dark with a head lamp. I started both ways at 4:30 am and am glad I did. 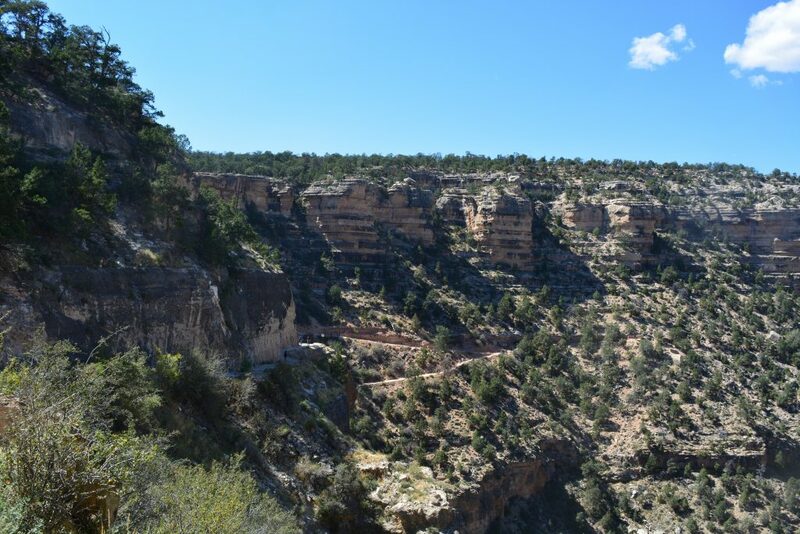 NPS advises you not to hike in the Inner Gorge between 10 am and 4 pm.They know what they are talking about – it gets SO hot in the Inner Canyon. SO fast. Take your time and enjoy! It took me quite a long time to get up and down 😉 But you have to know: I stopped on nearly every corner to take pictures. This is an adventure of a lifetime! 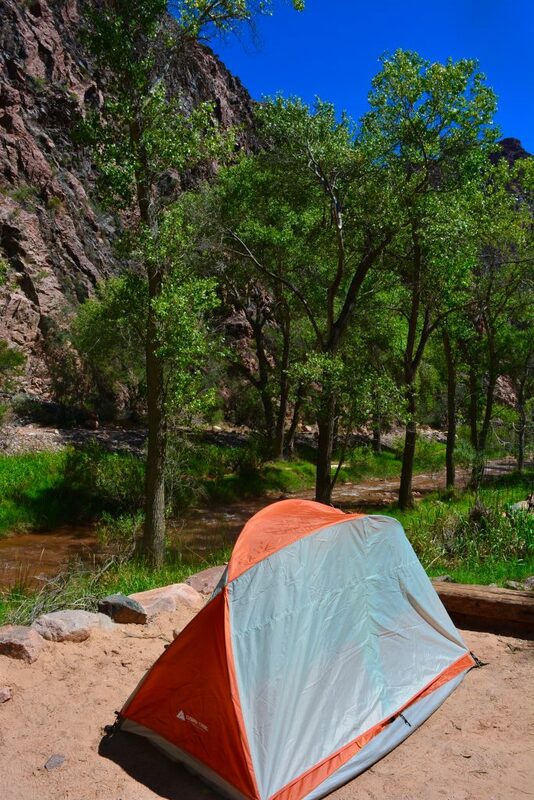 I stayed at the Maher Campground, directly at the Grand Canyon NP, the night before my hike. On the day of my hike, I parked my car at the backcountry office parking lot. A shuttle bus came to pick me up a few minutes after I arrived. First shock: I forgot the permit in my car! So the bus driver and 3 other hikers waited for me to rush back. First run of the day 😉 After the bus driver asked me if I had everything with me I felt, that my backpack was really light… I forgot my water! I felt unbelievable stupid and unprepared (I say, it was because it was still sleepy time, right? ;-)) – but after I rushed back to my car another time – we were ready for take of! SO HERE I COME! I said to myself – what could possibly go wrong after this? Stars over the Grand Canyon. After this little stop I hiked a few miles and I couldn´t resist taking another millions of pictures.The views are incredible and they are changing after every corner. The sun was slowly coming out and it was justbeautiful to see, how the colours changed over the Canyon. Those colours will blow your mind away! After the sun came out, it started to get hot within a few minutes. The combination of going down into the heat and the sun coming out, came to the event, that I had to take my layers of a while before planned. A beautiful sighting gave me my next break. Someone was standing in my way! THIS WAS IT! I am telling you. This was just too much beauty to handle. Amazing! This deer was just standing there and crossing the path. It was such a calm moment to enjoy. Nobody was around so it was just me, the deer and the quiet. After a few heavy switchbacks followed a long flat part. You were able to enjoy the views and just walk straight for a while. And then, there he is: The Colorado River. The colours changed from one second to another: At the beginning everything was still looking green and the walls of the Canyon light. But after reaching this point the colours turned into red and brown. First view over the Colorado River. From here on switchbacks followed again. I was feeling so happy to be here, but started to feel exhausted as well. With this came a little fear in my mind: How am I getting up again? Am I going to make this? But the happy feeling was just so much bigger! 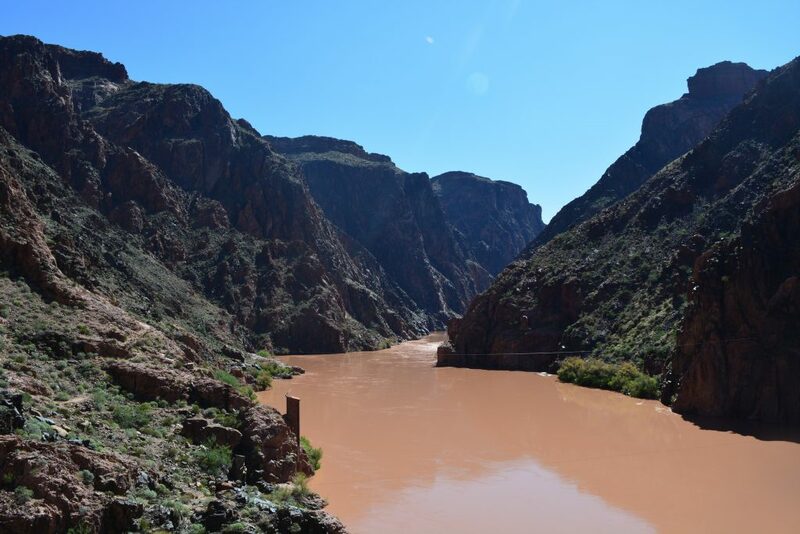 After some more mules passed by, I reached the bridge and the colorado river! What an amazing feeling. Of course I had to take a few pictures and calm down a little, because it was already unbearable hot! I reached the bottom at 9 am and I am telling you: I would really not have wanted to arrive there later. The sun was burning so badly and I needed some shade and a place to cool down. 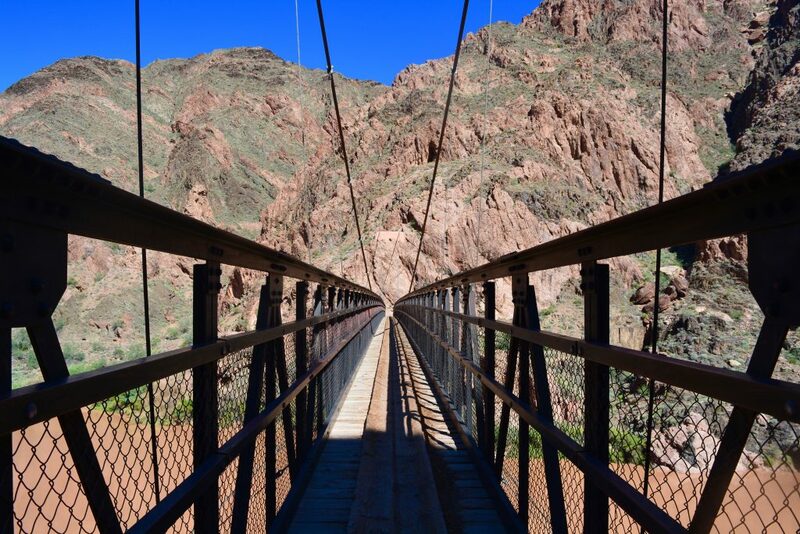 The Bridge over the Colorado. Only a few more steps away was the beautiful (!!!) 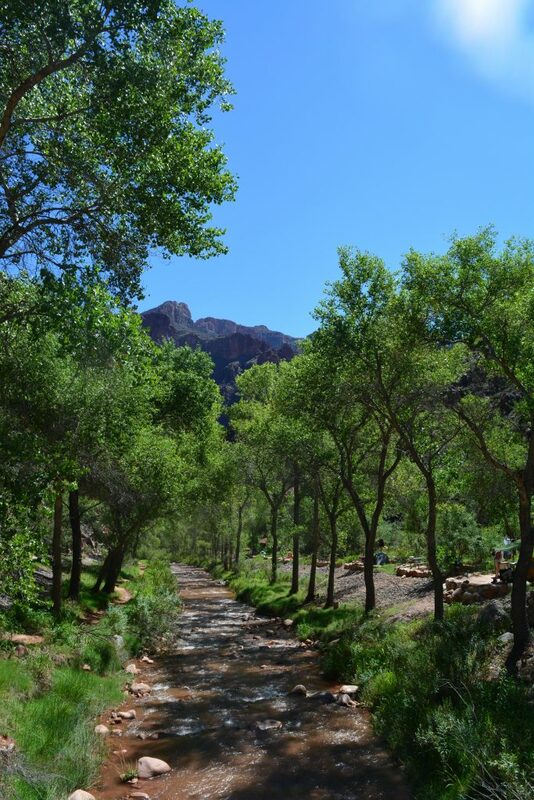 campground and the gorgeous creek. As I said earlier I took the sentence “Soak in the creek” way to serious and took a little swim in it. But hey – it was great ;-)Sooooo refreshing…. 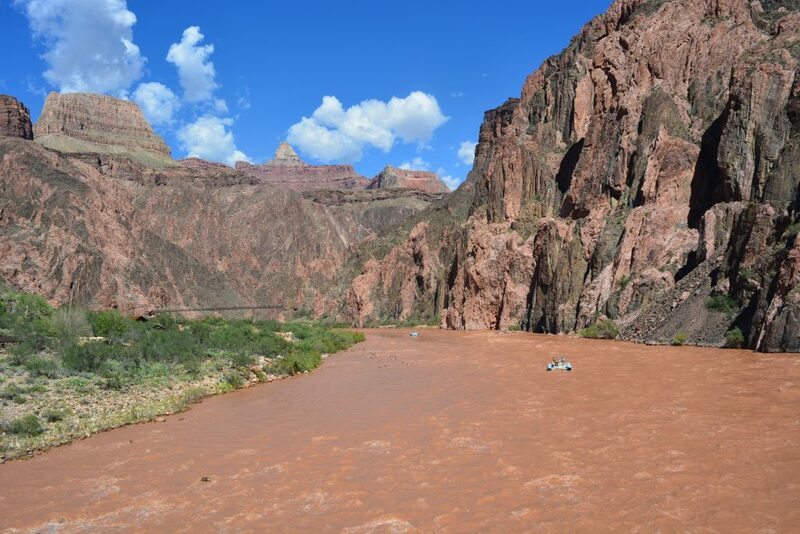 By the way: Please don´t swim in the Colorado River!!! A Ranger told me why you shouldn´t do that: The colorado river is freezing cold. I hold my hand in it: True story! It´s freezing cold – for real. So if you are heated up and get a swim in there – the current will not be your worst enemy. You could easily get a heart attack. So – please don´t get into the river. Enjoy the creek – you didn´t make it all the way down, just to get a stroke, right? The creek at the Campground! Afterwards I had a little break at the Phantom Ranch. I drank some ice coooold lemonade (best lemonade ever, after this day!) and wrote postcards. 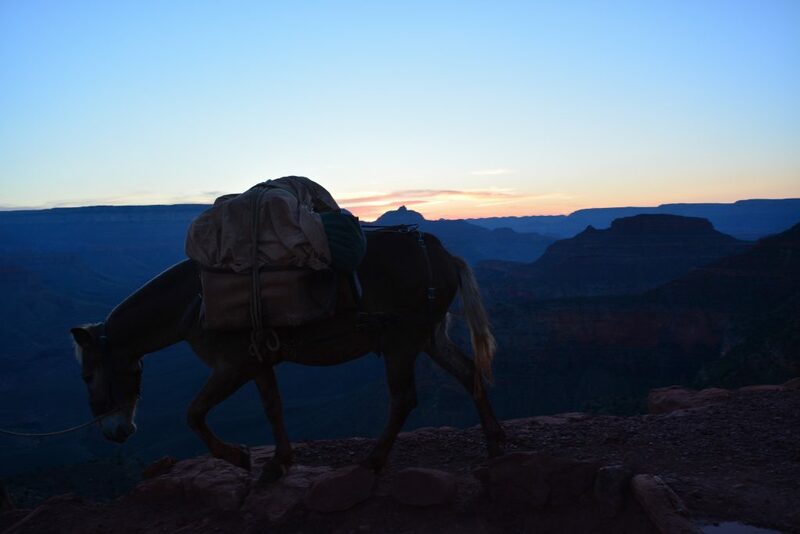 It´s just such a nice way of writing a postcard: the card is stamped as “from the bottom of Grand Canyon” and will be transported to the Rim by a Mule. Last stop of my day was the Boat Beach. This is the place, where the rafts arrive from time to time. It was the only place I saw, where you were able to actually be up close to the Colorado River. Those colours are absolutely unreal. 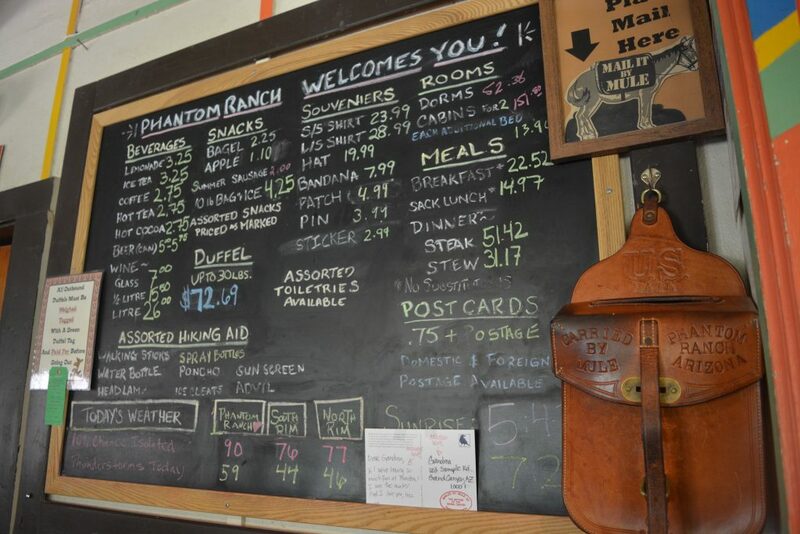 At 5 pm dinner was served at the Phantom Ranch. The dinner was really good – I had the Steak Dinner and it was really nice. It was served with salad, potatoe, corn…The desert was a chocolate pie! But I wasn´t able to make it until the chocolate pie, because I felt so ill after my steak. I packed the chocolate cake for later and went outside, were my steak didn´t felt the need to stay in my body. I felt really afraid afterwards, because I was alone and I knew that it is not easy to get medical support down there. But I was feeling so very good after the steak was gone. I still went to the ranger to see what they say about this situation. They said that I was smiling way too much, for beeing seriously ill 🙂 After this conversation I was Miss Happy Face again – nothing could stop me now. A tip for all those smaller person out there: Don´t eat too much Protein after a long hike, if you haven´t eaten any proteins while hiking. I soaked in the water again, drank a lot of water and felt that my body was calming down. The cold water ion my feet was helping so much. I had great conversations with my camp neighbours – and they were assuring me to look after me in the morning.I felt very comfortable with that: Even when you are alone somewhere, you are never really alone, because there are always some people around. And let´s be honest: Travelling people are just the best & nicest people! When the darkness came, my stomach was just so happy that I saved that chocolate cake 😉 Yummie – it was so delicious! Next day: 4.30. Let´s hit the trail! Many people on the campground were starting to pack at 4 am together with me. It was a great feeling to get going again.I felt perfectly fine and my muscles and my knees were not hurting at all – good signs! I refilled my bladder only this time – Indian Garden (4.5 miles) was the next stop were water is available. And so I went on. 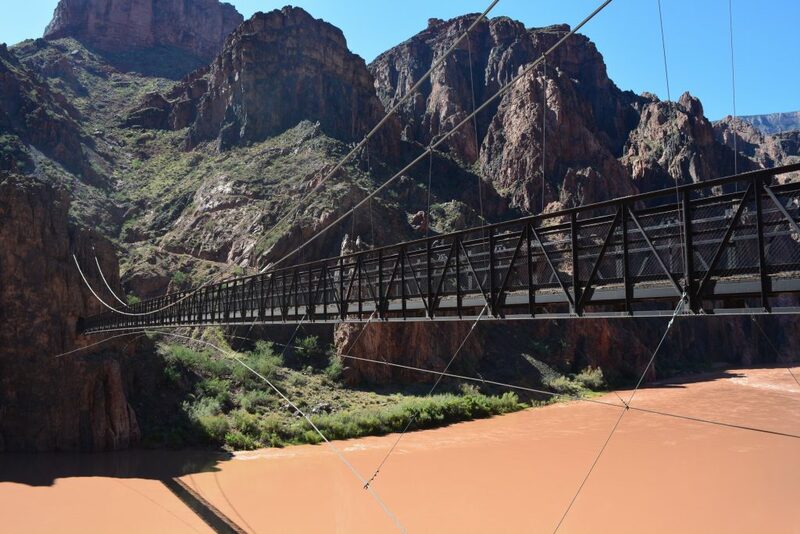 The first part of the trail was over the Colorado River Bridge and then quite a part a side with the river. When it was starting to lighten up already, I was in shock because I was still at the level of the River. But after a few more steps I saw some heavy, heavy switchbacks. Switchbacks out of the Inner Gorge. After the first huge switchbacks! And again the scenery changed so quickly. Everything got more green again and the sun was dipping the colours and changing them with every minute. Beautiful! A nice straight path followedfor the next mile. I was so glad, to be experiencing the heat the other way around now:The closer you get to the top the colder it gets. So with the sun coming out, it didn´t change a lot about the heat exposure. I had the feeling that it somehow stayed in a nice temperature all the time until I reached Indian Gardens at around 10 am. Break at the Creek at Indian Gardens! This was my view from my breakfast spot. Can´t beat that, right? I was originally planning to stay at Indian Gardens to avoid the heat. But after half an hour, I saw most of the people walking further, so I decided to go as well! The heat slowed me down a lot, I had to takea lot more breaks to refresh myself and just relax in the shade fora while. 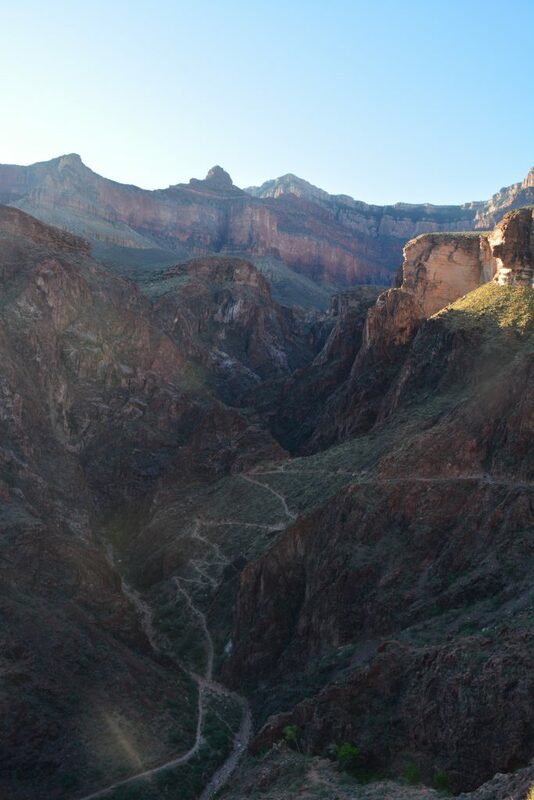 The mean part is: There is nearly no shade on the last half of the Bright Angel Trail, when the sun is up high. The 3 mile house and 1.5 mile house are great. They have stone walls, so it is actually cool in there. And of course there´s shade awaiting you. So it is a great place to just cool down a little while. The next 1.5 miles to the 1.5 mile house were the toughest part of my journey. I was really exhausted and the heat was extreme – it was between 11.30 am and 1 pm that I hiked through this part. People were coming from the top, who were doing a dayhike to the 3 miles house. And it was acutally hard to get out of the way of them all the time. The combination of all the circumstances was tough for me. I started asking people how far this 1.5 mile house is away and didn´t like the answers at all 😉 I had the feeling that the answer just never changed! But after a while I made it… I was really happy to have reached the house, had another snack and refilled my water again. All the good stuff comes to an end, right? I was getting closer and closer to the edge. I was somehow feeling a mixture of beeing relieved to have made it to the top and a sadness that this was it. But I was just really proud of me, when I reached the edge again and couldn´t stop smiling: I made it!!! So, this was my adventure. Minutes after reaching the top, I knew I would have to do this again. Many times 😉 I loved every bit of it and learned so many things about myself. How to never give up and to push onto the limits. How to take the very best out of hard situations. And that a smile and a good mood – true “happiness” – is the key to everything! What an amazing adventure. I would love to do this one day! You are welcome! 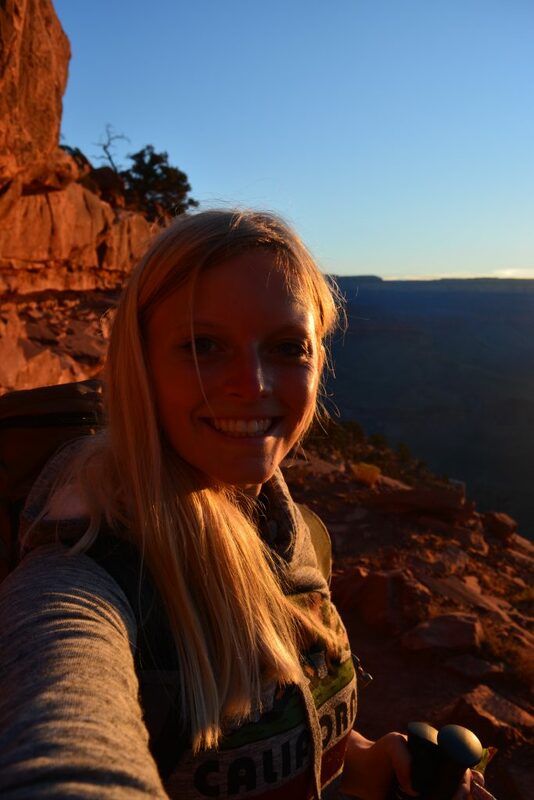 🙂 Enjoy your hike there – it was honestly the best experience I had so far! Rim to rim is on my bucket list! This is such a great post – so detailed and informative. Definitely saving! Thank you so much! 🙂 Glad you enjoyed the post! I plan on doing more hikes this new year at home. The Grand Canyon is a def must do for me one day when I’m in the US! 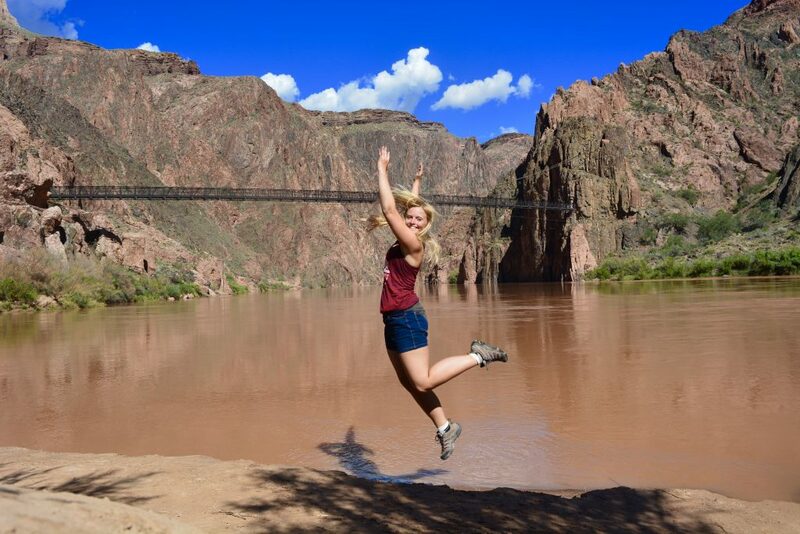 Wow, I’m so jealous about your adventure and your courage! I love hiking, but I’d never gone on my own. 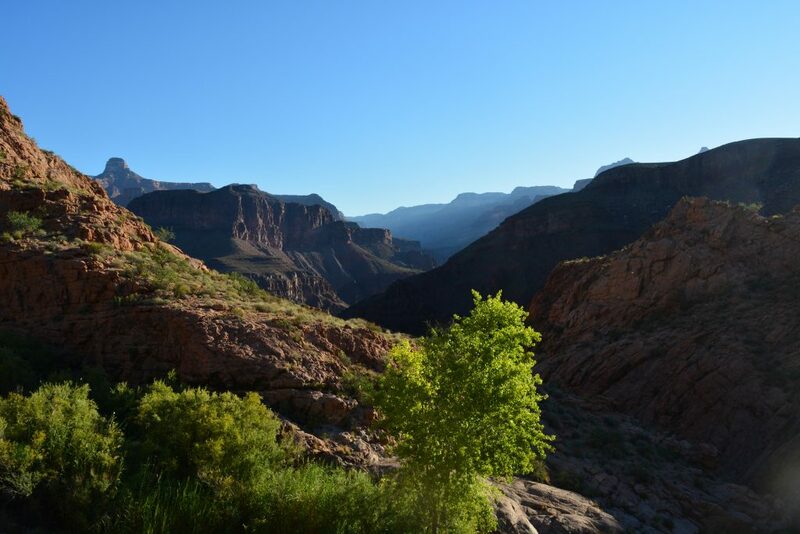 The grand canyon looks great through your amazing photos as well! I can tell you had a whale of a time! Hats off to you!!! Your photos are amazing! 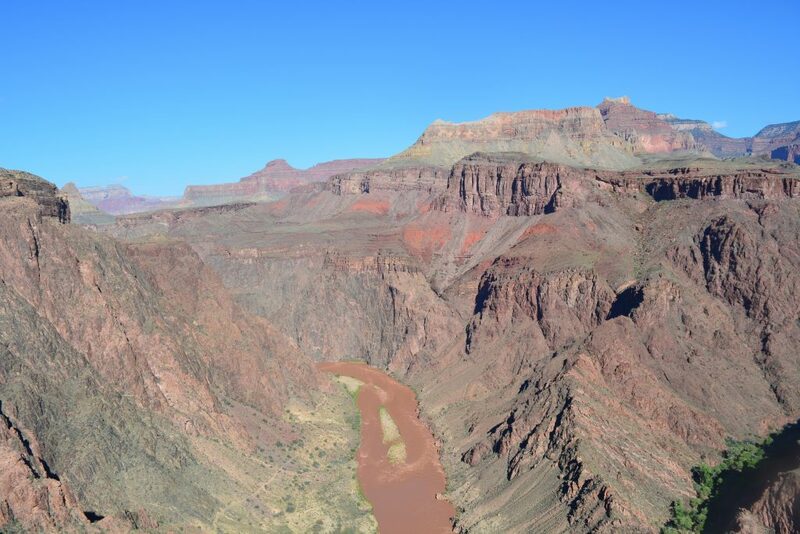 We’ve been to the Grand Canyon a few times, but we’ve never headed down into it! I can imagine the experience is one of a lifetime!! I mean, the photo of that sky! Beautiful! This is such an amazing story about one of a kind adventure!!! 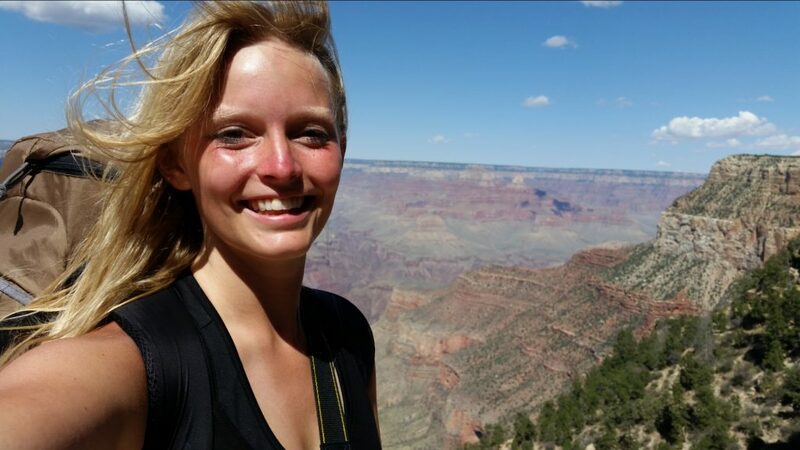 I have accomplished one of my travel dreams to visit all 50 states many years ago but only in November 2016 I visited Grand Canyon for the very first time and that DID NOT include hiking down. Overall, I have enjoyed the trip and in my opinion Grand Canyon is one of the most beautiful places in United States. Anne, this is a great website! You made it so easy to navigate through, and the contents are amazing! Very well done, and thanks for sharing your experiences! I’ve taken two short trips to GC, which was great, but I’ve been really wanting to go back and camp. I think you did an incredible job making your GC adventure so real to your readers. In fact, I think I can take it off my list now! Just kidding; I’m hoping to do it next spring. Peter, thank you so much for your kind comment!If you have any questions before your trip next spring,let me know 🙂 You are going to love it! This is amazing! I went last year, but didn’t do the hike like you did. It’s definitely something I want to do. It was so nice to meet you at Phantom Ranch! I still can’t believe we ran into you there, it’s so weird! 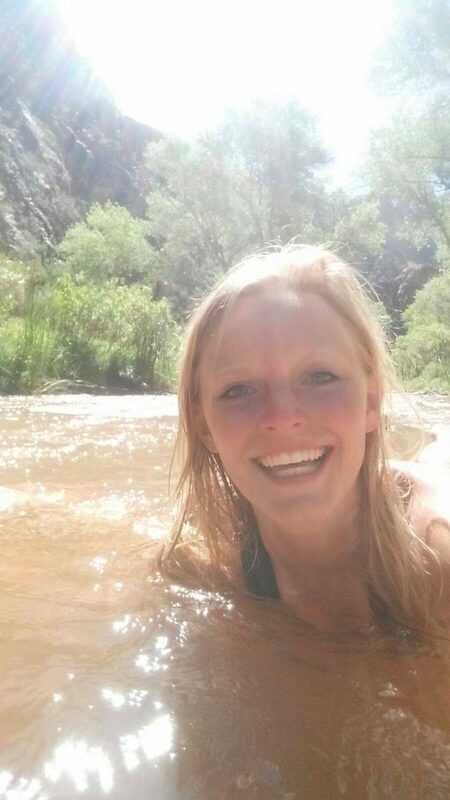 I hope you got home safely and got to do the Subway in Zion! 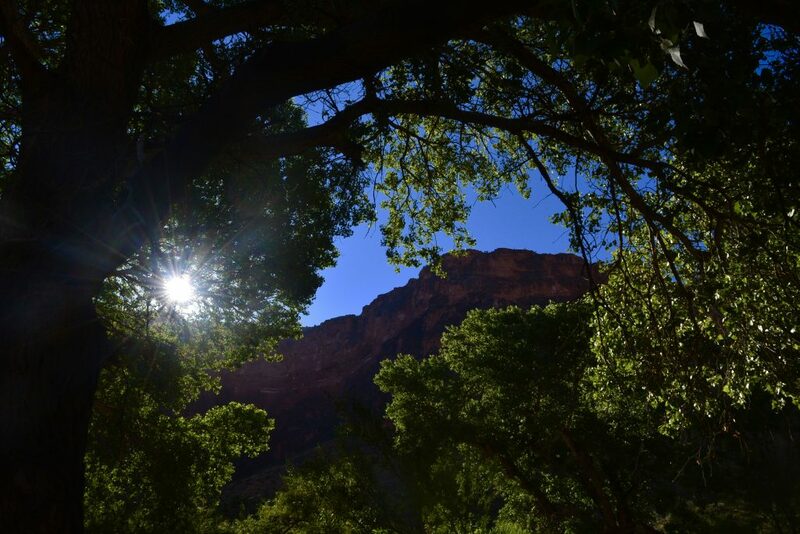 Supai was amazing, being a Grand Canyon fan this must be number one on your bucket list! If you send me an e-mail, I can send you some pictures for inspiration;-). How to hike smart! – Go on adventures!